Publisher: Sidgwick & Jackson, London, 1990. Hardback. 1st Edition. [29x21cm]. 176pp, hardcover quarto b/w frontisp.,8 chapters, includes Ch 6 "Prisoners of Japan" with photos. Condition:Crisp red cloth-bound hardcover with bright gilt title to spine, STRAIGHT, CLEAN & TIGHT in VERY GOOD CONDITION in an unclipped VERY GOOD DUSTJACKET with minor rubbing and no inscriptions. 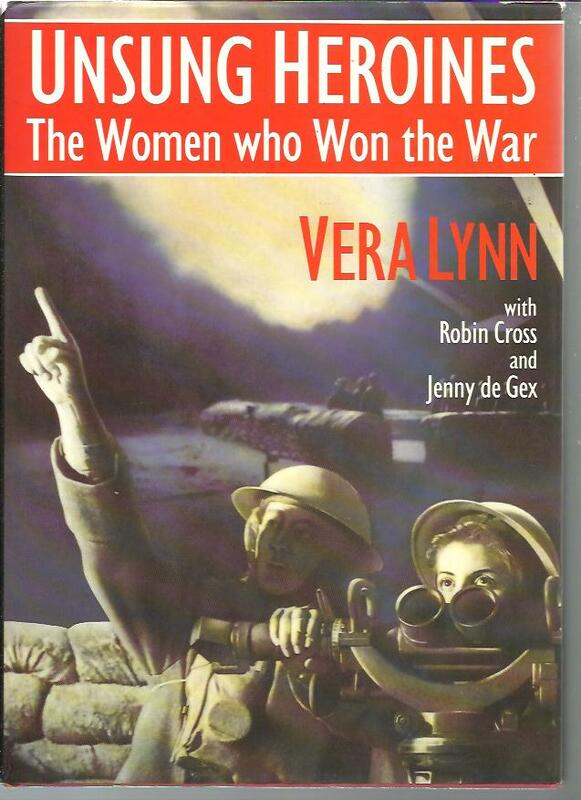 Description: A tribute to the bravery, resourcefulness and sheer strength in adversity of the women who contributed to the war effort during the Second World War. Lovely illustrations include colour poster art. The first-hand accounts of their work during WW II. Publisher: The Macmillan Company of Australia Pty Ltd, South Melbourne Victoria, Australia, 1985. Hard Cover. First Edition. 17 chapters, maps to endpapers,b/w photos, 204pp. Condition:Crisp tan cloth-bound hardcover with bright title to spine,STRAIGHT, TIGHT and CLEAN in VERY GOOD CONDITION with no inscriptions in a GOOD DUSTJACKET with mild rubbing and edgewear. Description: Captured in Greece in 1941 AIF gunner Ramsay was held in several POW stalags, work camps and gaols in Germany and in Nazi controlled Greece, Austria and Poland. He escaped three times from various camps but only the third attempt was successful. Author: Lockwood, Douglas with a Foreword by Air Chief Marshal Sir Frederick Scherger. Description: Lockwood was a war correspondent stationed in Darwin during the Japanese raids. He has interviewed survivors, participants including Japanese and American airmen, as well as historians, and joined this information with his personal experiences.